The right of the people to know, and the ability to hold government accountable, rests on an open and transparent government and a free press. Congress has largely abdicated its oversight responsibility. Instead, journalists, advocates and muckrakers must dig for the truth, using the Freedom of Information Act and state and local Public Records laws to liberate government documents. Whistleblowers play a vital role exposing government wrong-doing and ineptitude, but are often prosecuted. In recent years, the war on transparency has escalated as more government workers are prohibited from speaking with the media, and retaliation against whistleblowers gets ever more vicious. 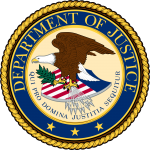 The rule of law has been turned on its head, when crimes are made public (such as the war crimes exposed by Chelsea Manning, the CIA torture program exposed by John Kiriakou, or the NSA/FBI mass surveillance exposed by Edward Snowden), it is the whistleblower, not the war criminals and torturers who are prosecuted. April 11, 2019 – Earlier this morning, London police entered the Ecuadorian embassy and arrested Julian Assange. Press freedom, civil liberties, and human rights groups have long opposed the extradition of Assange to the US. 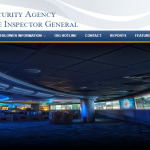 October 1, 2018 – The National Security Agency Office of the Inspector General (NSA OIG) announced today the launch of its new, independent website – sharing much more information with the public about its work. 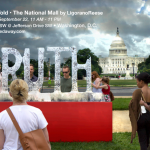 September 16, 2018 – DRAD has teamed up with PEN America, the Corcoran School of Art and Design and artists Nora Ligarono and Marshall Reese to host a weekend of For Freedoms programming as part of a 50 State Initiative in which concurrent decentralized public events across the country will reflect a multiplicity of voices and spark a national dialogue about art, education, commerce, and politics. 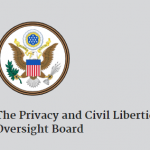 August 30, 2018 – Members of the 9/11 Commission were smart enough to understand that federal counterterrorism programs would threaten privacy and civil liberties, so they recommended the creation of a Privacy and Civil Liberties Oversight Board (PCLOB) to review those programs to ensure they include safeguards to protect privacy and civil liberties. It’s been inoperative since January 2017. 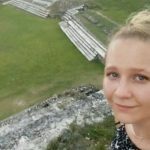 August 24, 2018 – Reality Winner has received the longest sentence ever given in federal court for leaking information to the media. Winner is a whistleblower and this outrageous sentence, which the prosecution has boasted is meant to send a message to would be whistleblowers, is just the latest escalation in the US government’s war on whistleblowers.